If we are outside, and whatever we are doing doesn’t require a helmet, you can sure as hell bet we are wearing hats. Why you ask? Well, until recently we didn’t really know. The hats we were wearing often appealed to us because of their looks, but their cotton twill fabric, cardboard bills, and lack of breathability left a lot to be desired in regard to functionality. All they basically did was keep some sun out of our eyes and smell bad. And at the end of a long day on the trail, the big crusty sweat stain above the bill didn’t score us any points when we hit the bar afterward for a beer. On one of our more recent Tillak trips to do fun things outside (they are mandatory for employees), we realized that if we wanted a good hat, we were going to have to make it. And thus was born the idea of the Wallowa 5-Panels; hats that looked good, but were made of versatile and functional materials suited for doing fun stuff outside. We quickly settled on Nylon as the base material of our Wallowa line – Nylon is light, breathable, quick-drying, and packable. And to solve that old soggy or sweaty bill dilemma, we chose a water-log-proof polyethylene material for the bill. So you can sweat like crazy or fish all day in the rain without worrying about ruining your hat or having it forever smell just like your hiking boots. 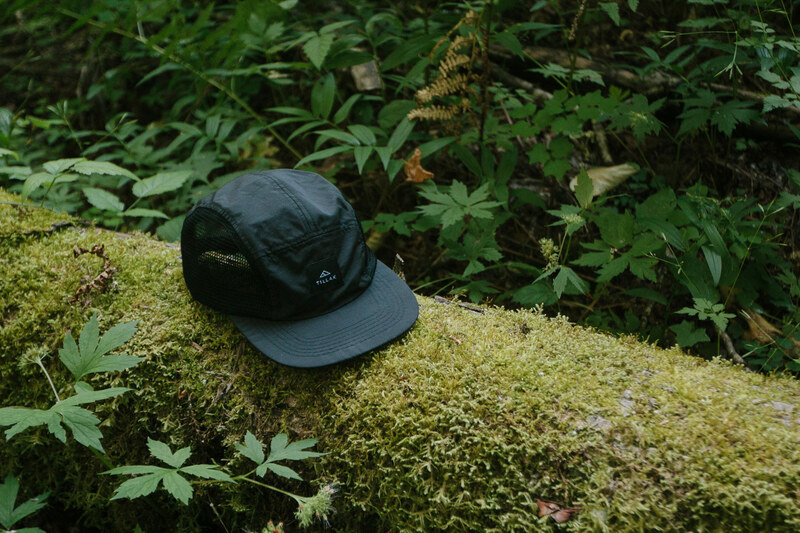 Our Wallowa Camp hat gathers together a full Nylon, 5-panel construction, and polyethylene bill to produce a stylish and comfortable little piece of stowable outdoor gear. Packable down the slim profile of its bill and sporting a rugged granite grey color, this thing keeps the sun out of your eyes just as well as it keeps the rain off of your face. While it breathes well and wears light on your head, this is our favorite hat for wet and rainy hikes, or for swinging flies to winter steelhead in nasty Oregon weather. As an ode to our wintry fishing pursuits, we went with grey on this hat for its ability to blend into overcast skies or dreary backdrops. People will notice it, but fish won’t. 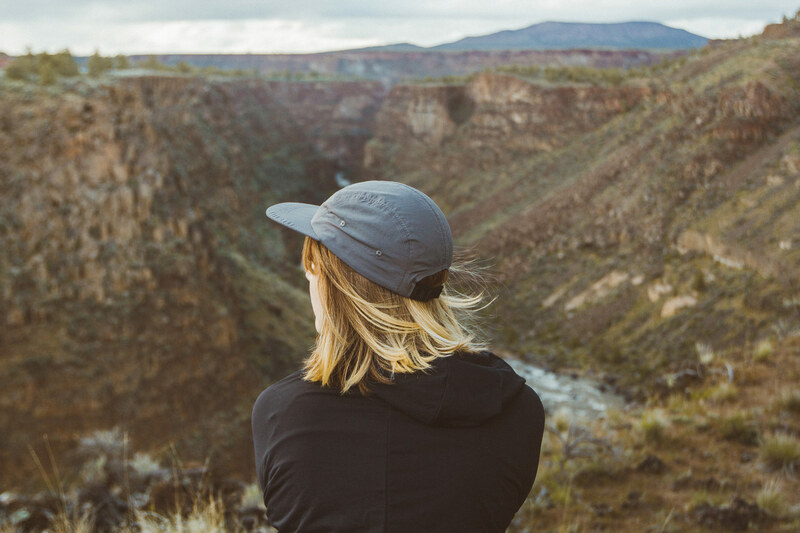 The Wallowa Trail hat gets the same 5-panel construction as the Wallowa Camp hat, but utilizes nylon mesh on its large side panels to keep the wind cruising through your hair on those hot or high effort days. The rest of the hat carries over the same Nylon panels and polyethylene bill of the Camp hat, and packs down just as small for when its better suited in a backpack pocket than it is on your head. We went with black on the Wallowa Trail because black doesn’t discolor with sweat, and if it gets crusty, a quick rinse makes it brand new again! 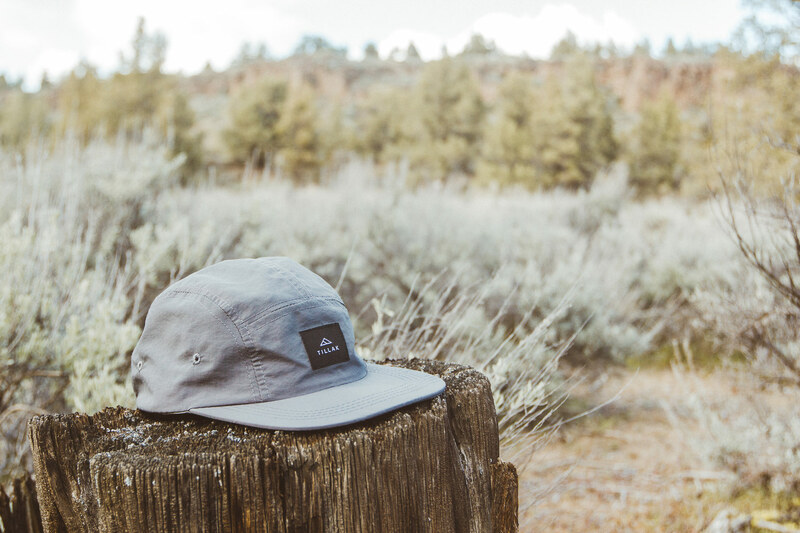 The Wallowa Trail hat is our go-to for trail running, summer backpacking, hot days wet wading, bouldering, and we keep one in the car to throw on after mountain bike rides. All of this to say that if you do fun things outside, and you wear hats, then you would probably be happier if you grab one of these for the next time you do both of those things at the same time.